It sounds kind of crazy, but I didn’t visit Paris’ iconic Eiffel Tower until my last week in France. Or at least, I didn’t go up it. It’s hard to miss Gustave Eiffel’s masterpiece: you can see the tower from all sorts of random places within Paris. I had an excellent view on my train ride into the city every morning. 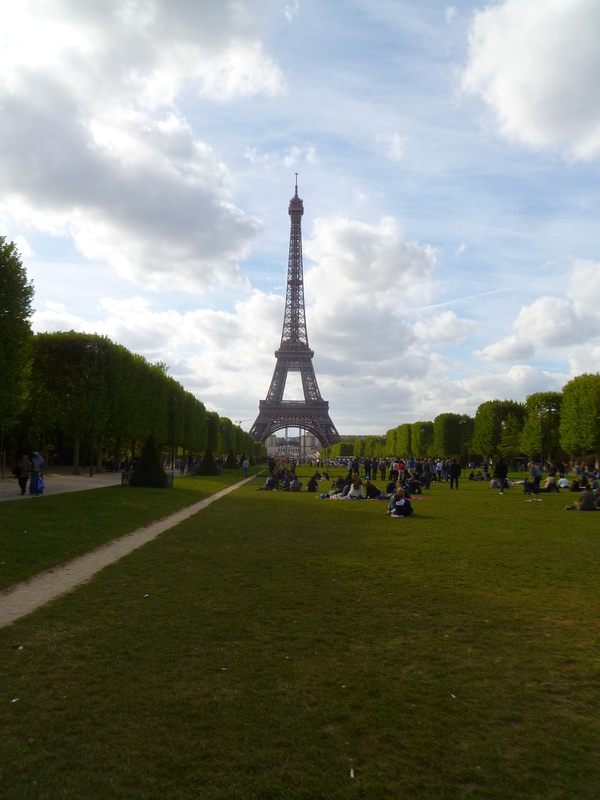 But every time I went past the Champs de Mars and looked at the long, winding queue, I said, “nah, let’s leave it for next week” up until there was no putting it off. 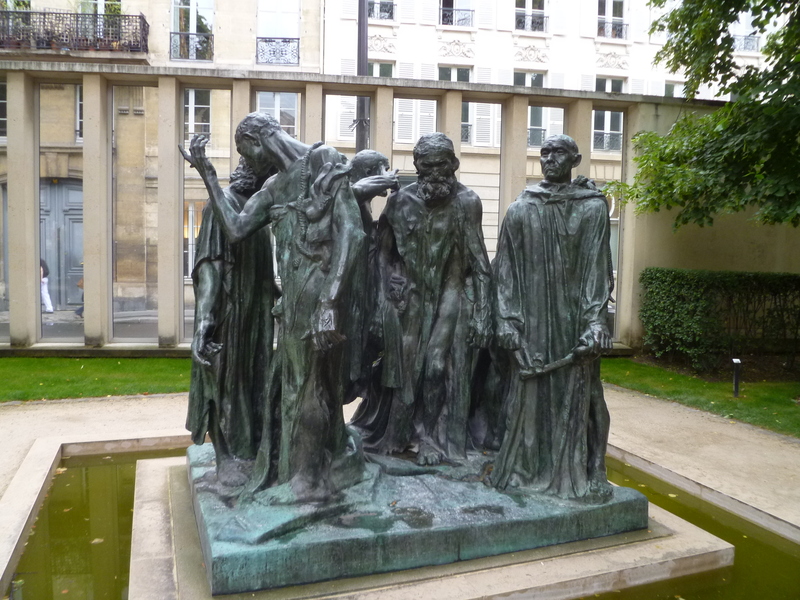 The Musée Rodin is actually very close by to my school in Paris, maybe a ten minute walk on the same road. So obviously, I must have gone many time before, right? Wrong. Somehow, I never thought of visiting until a gray day in June with torrential downpours. To an outdoor museum. I make all the best decisions. 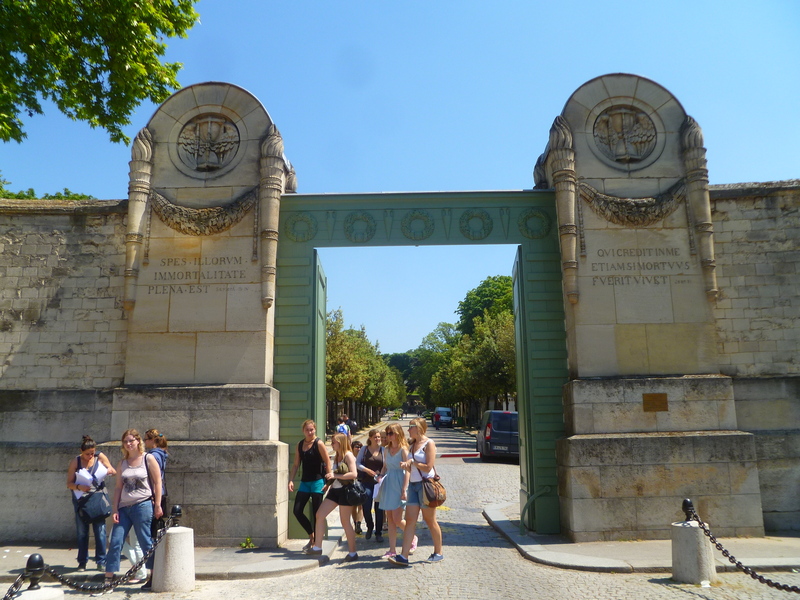 On Thursday, my French class went on one of our “cultural field trips”. Previous ones have included cheese tasting and a tour of the area around the school, so this was a step up. Père Lachaise is Paris’s largest cemetery and some of the biggest and brightest personalities of the past two hundred years are buried there. The cemetery is so famous and so many people wish to be buried there that some creative rules have been put into place on the question of space. You have to be French, died in France, or died for France to be buried there without an extravagant fee, and even then buying a plot in perpetuity is very, very, expensive. Entire families are often buried on one plot, going down as far as five levels. It’s kind of wild. France celebrated its’ first official gay marriage today. Vincent Autin and Bruno Boileau were wed in a ceremony in Montpellier this afternoon. It was pretty adorable. The Guardian’s got most of the details here. I just hope this makes the stupid homophobes look even dumber at their next rally. Also, if they stopped putting their stupid hate stickers everywhere in Paris, that’d be great. I went over to the Notre Dame with a friend on Sunday. Her time in Paris is winding down, so we’re hitting all those tourist sites that she hasn’t been to yet. 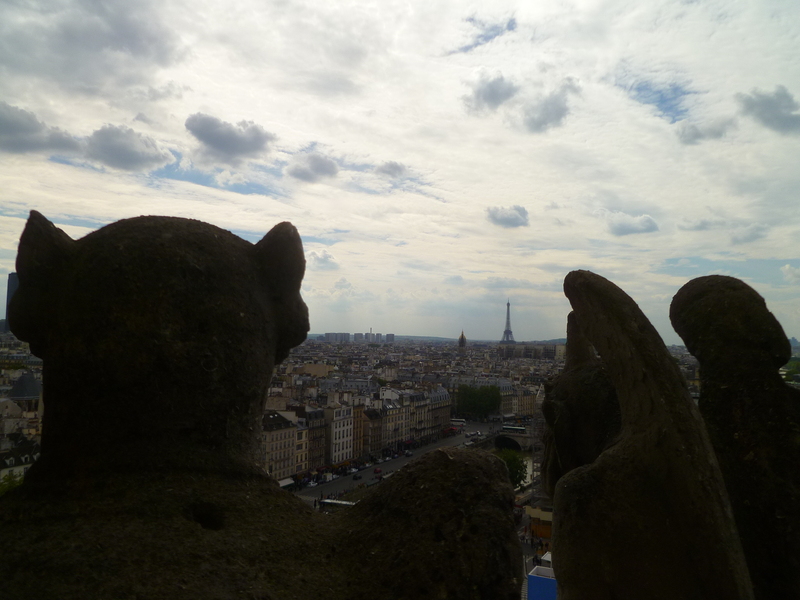 Yesterday, I finally went up to the bell towers at the cathedral to see some of those gargoyles and church bells up close. On Saturday, I went to the “Paris Haute Couture” exhibit at the Hotel de Ville with a friend. It was really fun, despite the hour long wait in line outside in the cold. (What gives, Paris? It was 75 last week, now you’re back to the low 50s? Mean.) My friend is a bit of a fashion maven and the tickets are free, so it was a match made in heaven. I had a good day yesterday after my test. I grabbed a sandwich from my favorite boulangerie and headed over to the river after class. 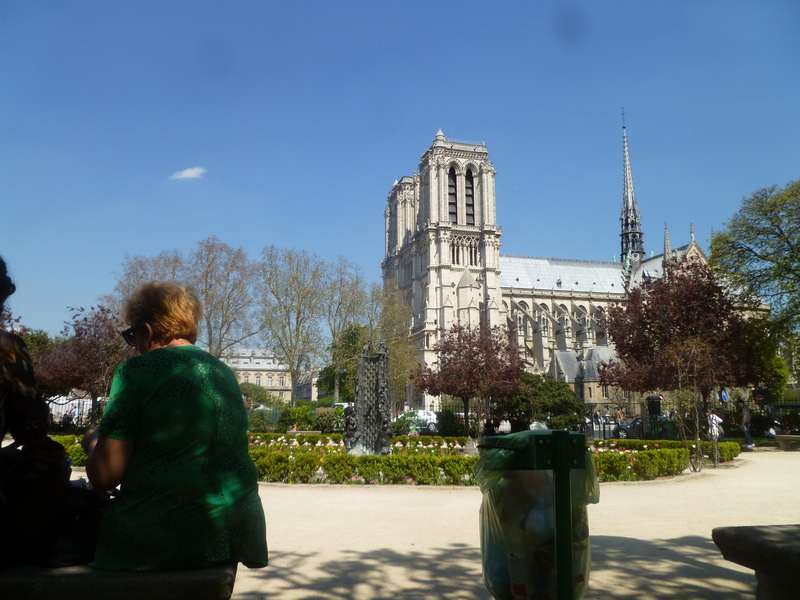 I wandered along the Seine before settling down at a little park across from the Notre Dame. Basically, I want you all to see this so you can be jealous of my glamourous life. This was my view every time I looked up from my book. Speaking of, I highly recommend Robin Hobb’s Rain Wild series. It’s really engrossing and now I need to track down book 3 from one of the English bookstores here. After the jump, a view from along the Seine.